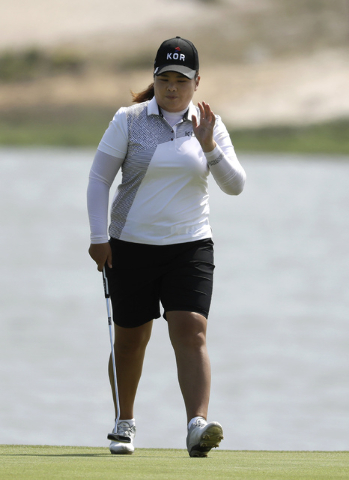 The Bishop Gorman product holds a two-stroke lead heading into Saturday’s final round in Rio de Janeiro. 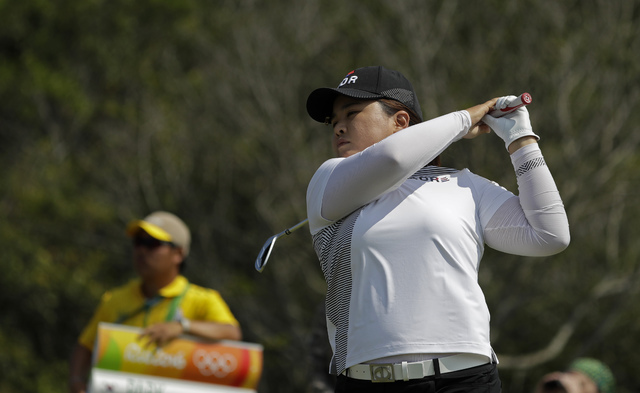 RIO DE JANEIRO – Inbee Park carried no momentum into the Rio Olympics. She really brought no expectations, either. 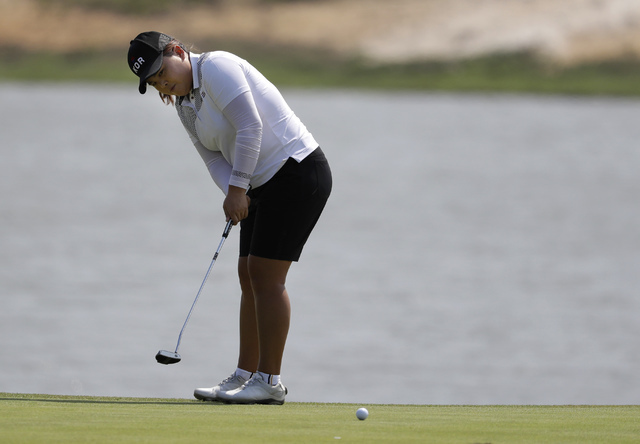 That, a calm putter and a pair of late birdies pushed Park into a two-shot lead Friday of the women’s golf competition at 11 under par. 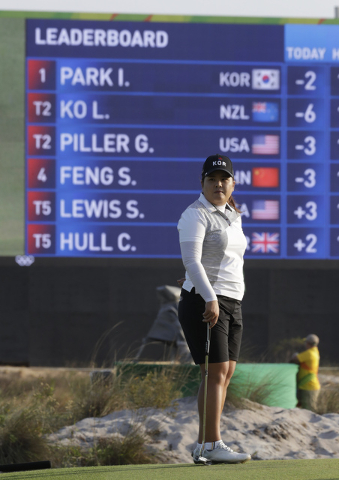 Her third-round 70 on a windy afternoon near the Atlantic Ocean presented Park, who hadn’t played competitive golf since early June, with a real chance to imagine herself with a gold medal in one day’s time. “I’ve held a lot of golf trophies,” said the winner of 17 tournaments on the LPGA Tour, including seven major championships. 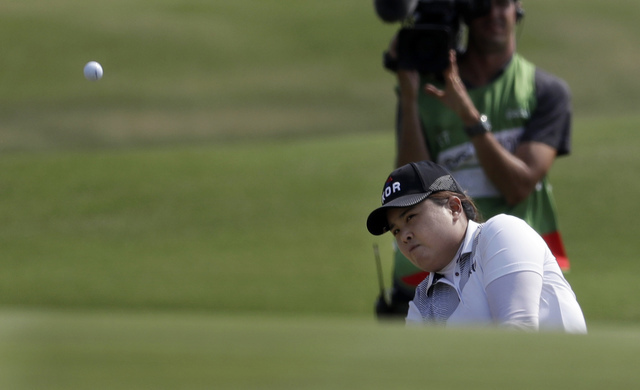 Her best put Park, 28, in contention on the first day of play, when she shot 5-under 66. It kept her there on the second with another 66. 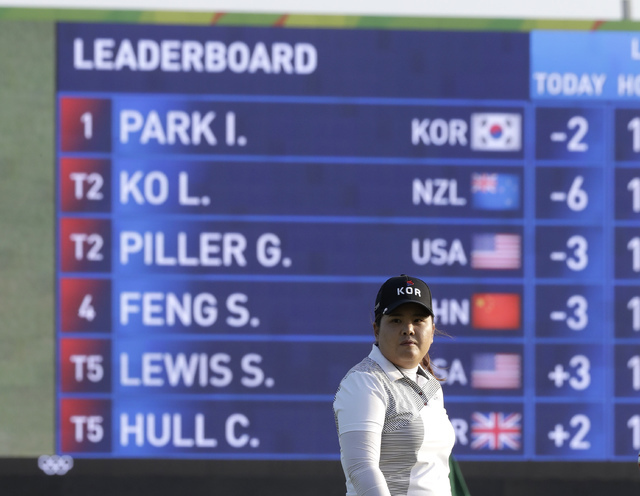 Park did not have her best in the third round, when she, Stacy Lewis of the United States and Charley Hull of Great Britain played in a final group buffeted by a gathering wind the field had not yet faced at the treeless, largely exposed Olympic Golf Course. But she did have patience. 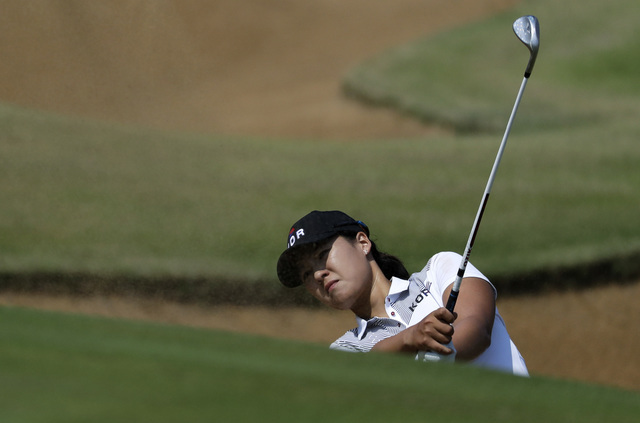 Park played the first six holes in three birdies and three pars. She bogeyed the seventh and ninth. 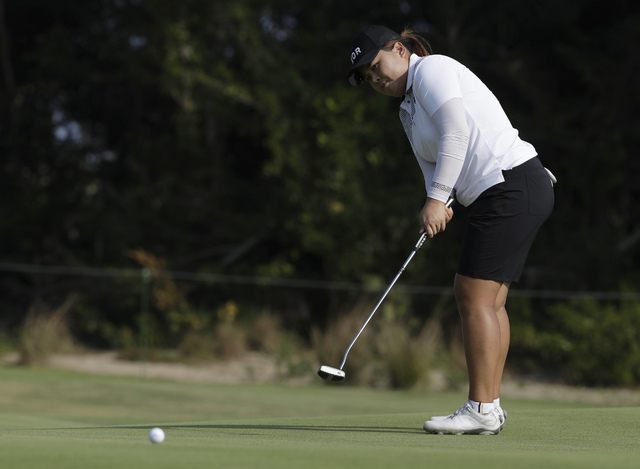 She nearly holed a short wedge shot for eagle on the par-5 10th, her ball curling around the edge of the hole. 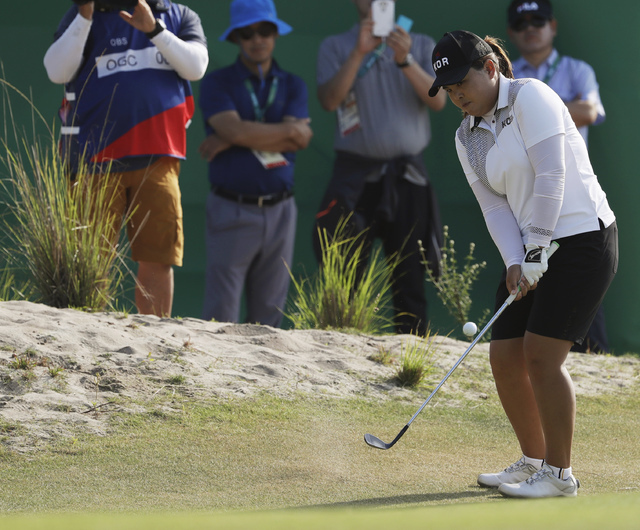 Bogeys on the 12th and 14th brought her to even for the round, 10 under for the tournament and seemingly on the cusp of losing everything she had fought to build for herself and for South Korea. “I feel like I really struggled out there,” Park said. 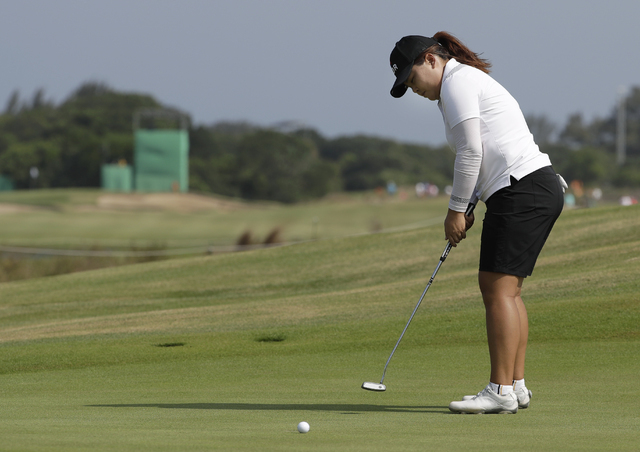 Ahead, Lydia Ko of New Zealand had posted a 6-under 65. She finished at minus 9. 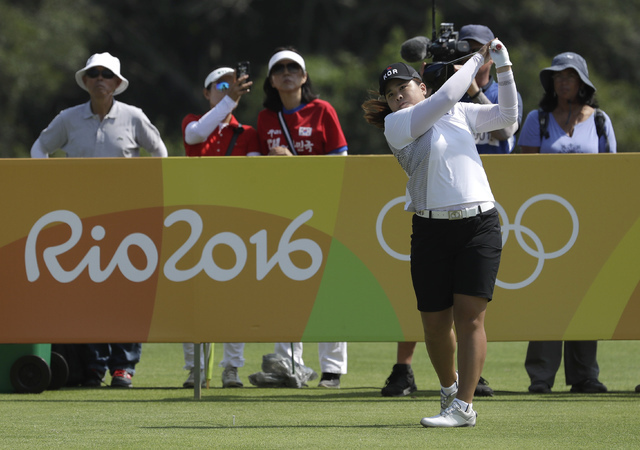 Gerina Piller of the United States was closing on a 3-under 68 to finish at 9 under. 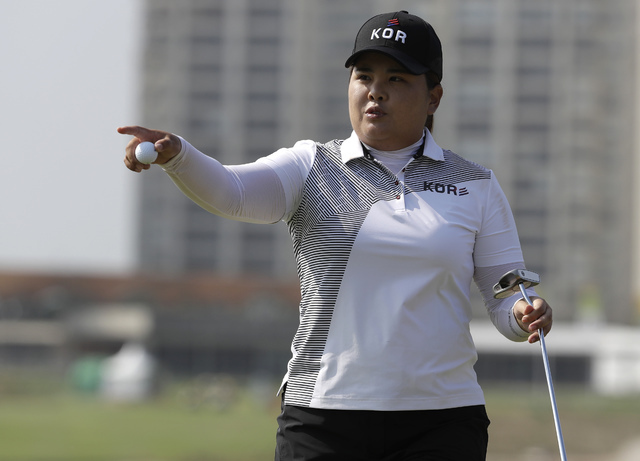 Park pushed her drive at the par-4 16th hole, leaving her with a dangerous wedge shot over one of the sharply defined edges of a cavernous bunker on the right side of the green. 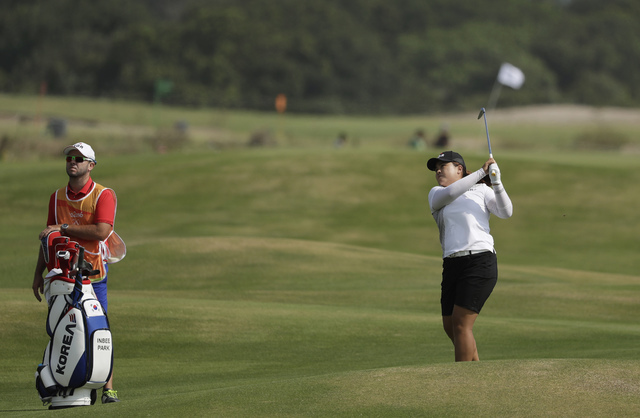 The future LPGA Hall of Fame player had executed shots like that time and again – when she played every week. Park has played only 10 tournaments this season, though. She summoned faith that she could pull it off anyway. She spun her ball to a foot. 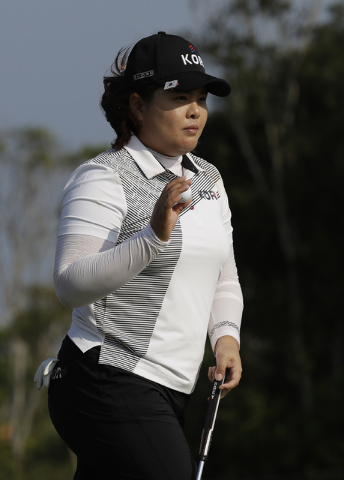 Park holed a much longer putt on the par-3 17th, a bonus birdie that she erased with a bogey on the final hole caused by a drive in a fairway bunker. But there Park was, answering questions in her post-round press conference about what it felt like to be so close to a gold medal. She talked about her injured thumb. She discussed the challenges of preparing for an important tournament without consistently playing. Park also tried to explain why it means so much to her to rise above herself and her circumstances Saturday. She’s managed that before. She’s also overcome it, which is what she hopes to do Saturday in the final round. She’ll find out soon if she can. Kevin Robbins is reporting from the Rio Olympics for the University of Texas at Austin School of Journalism.